Local Cine Film transfer service based in Wallasey, Wirral. 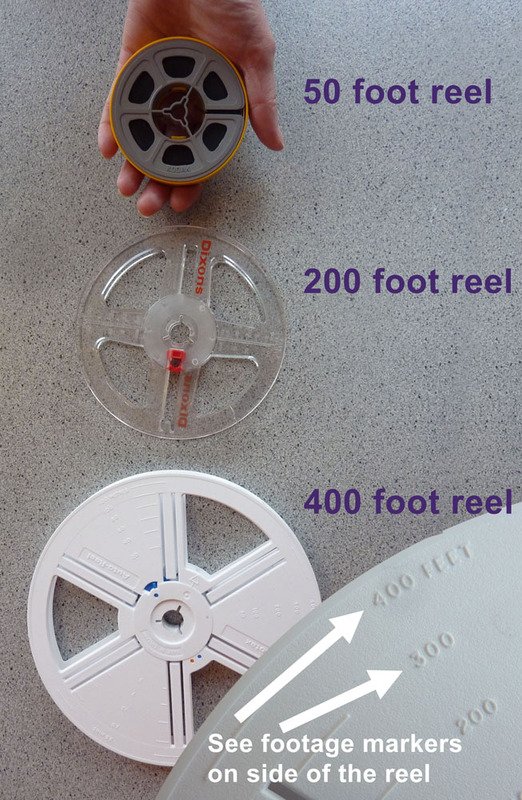 Transfer your Standard 8mm and Super 8mm films to DVD. Please view the above sample of one of the hundreds of cine films we have converted for customers on the Wirral. Please refer to the image to help you calculate the amount of footage you have and work out a cost. Prices for Cine Film transfer includes your films converted to DVD with start title and music. Please note minimum charge of £24. 50 ft Reels @ £8 each. 200 ft Reels @ £28 each. 400 ft Reels @ £48 each. If you would like your reels in order, please number each reel. Please feel free to call or email if you have any questions or would like any further information on our cine film to DVD transfer service based in Wallasey, Wirral, Merseyside.